A previous SATRA Bulletin story reported on the investment made by British industrial thread manufacturer Coats into a digital thread dyeing system. Now, Coats has announced two further aspects of the company’s expansion plans. ThreadSol – a cloud-based digital-applications provider – has reportedly been acquired for £9.29 million ($12 million) to become a part of Coats global services. With headquarters in Singapore, ThreadSol was founded in India in 2013 and has development centres across India, in addition to offices in Bangladesh, China, Indonesia, Sri Lanka and Vietnam. 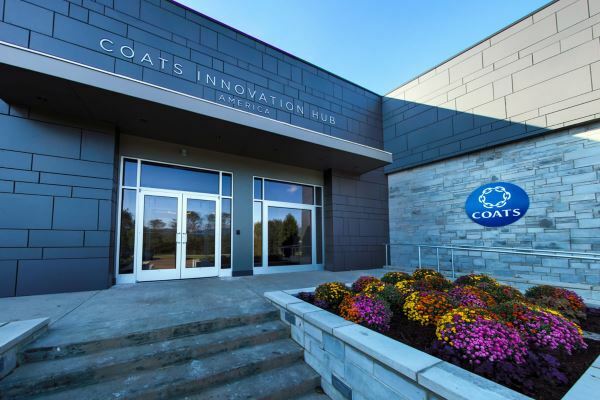 The first of Coats’ innovation hubs was opened in October 2018 in North Carolina, USA, and additional centres are planned for Turkey and China in the very near future. These facilities are said to have been designed to develop ‘pioneering’ footwear, apparel and performance materials and processes. The US hub features a video wall, displays of recent product developments and a timeline tracing the company’s history to becoming a major international corporation. It also has a materials laboratory where customers can collaborate with research and development technologists, a prototyping area and a pilot factory with manufacturing machinery used to assess production processes in a controlled environment. This article was originally published on page 2 of the February 2019 issue of SATRA Bulletin.